One of the things that has always puzzled me is the number of palliative care services that have the word ‘pain’ in the title. Why do we concentrate so much on that one, admittedly unpleasant, symptom? Why ‘Pain and Palliative Care Services’ rather than, for example, ‘Vomiting and Palliative Care Service’ , ‘Dyspnoea and Palliative Care Service’, or even ‘Sadness, Anger, Existential Anguish and Palliative Care Service’? That’s the problem with trying to describe palliative care. 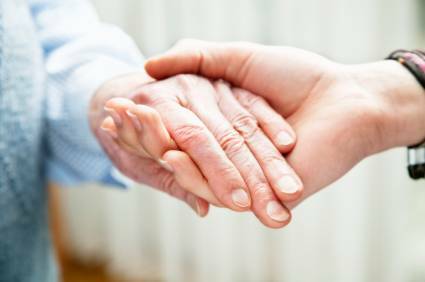 The whole point of palliative care is that it is holistic – a word that has acquired a certain flakiness, but which in reality simply refers to looking at the wholeness of a person, rather than focusing on only one domain (such as physical symptoms), or even one specific symptom (such as pain). But the purpose of a definition, by definition, is to set limits around a concept. There is a sense in which defining something as holistic is a contradiction in terms. Yet that is what we have to do in palliative care, if we are to communicate some sense of the task of caring for children and adults with life-limiting conditions; a sense that encompasses both the idea that it is holistic and that it is specialist (there are some things you need to learn to do to do it well). The clue to the nature of palliative care is in the name: ‘care’. It is a care whose aim is not cure. In the United Kingdom, we have recently seen the results of misunderstanding what palliative care is all about. As in most countries that are resource-rich (or, at least, would have considered themselves as such before the global recession), the United Kingdom sometimes struggles to avoid the temptation to over-intervene. Even where it is overwhelmingly unlikely that an intervention will help – such as when death is inevitable – we in resource-rich countries can’t help ourselves. Sometimes we have to do something even if we know it is more likely to damage a patient – considered holistically – than it is to help them. That is not because anyone is trying to be cruel, but simply because if you are a doctor faced with a very sick patient, it is hard not to intervene, even when the latter option would truly be the right thing to do. So, if you want to improve the lives of people who are close to death, one really good way to do it is to offer doctors more support in doing less, and in doing it well. The Liverpool Care Pathway for the Dying Patient (LCP) was designed to do exactly that. Its sole purpose has been to protect dying patients from the pain and indignity of useless interventions around the end of their life. Sadly, holding back on those interventions that will harm people can sometimes look, at least to the untutored eye, very like deliberately killing them. Even some philosophers find it tricky to admit that killing someone is not at all the same thing as refusing to try to prevent their inevitable death. So perhaps it is not surprising to find that, in trying to see who were the baddies here, the Daily Mail crashed clumsily down on the wrong side, screaming that babies were being euthanised using the Liverpool Care Pathway. But it isn’t true. The Liverpool Care Pathway hasn’t really found its way into children’s care, despite the Daily Mail‘s assertions. That’s because it was designed for adults, mainly with cancer, rather than for children and the much larger range of conditions that can cause their death. There’s nothing wrong with the concept. As in adults, the art and science of palliative care in children is to preserve wellbeing as far as possible, using all the tools at our disposal. To do that often means introducing some interventions – some medication, perhaps, or the opportunity to talk about fears, or the chance to decide where you or your child should die. But improving wellbeing can equally mean withholding interventions that would be likely to cause an overall damage to it. Good paediatric palliative care must mean knowing what procedures to leave out, as well as knowing which ones to introduce. Whatever some moral philosophers say, there is a big difference between actively hastening someone’s death, and not trying fruitlessly to prevent death when to do so would mean making life worse. And whatever the Daily Mail may confidently claim, putting a patient on the Liverpool Care Pathway is not the same as euthanasia. Care pathways are pointers to the best way to avoid careless and harmful over-intervention. Properly used, palliation and pathways do exactly what they say on the tin; they care. Dr Richard Hain is Consultant and Lead Clinician at the Wales Managed Clinical Network in Paediatric Palliative Care Children’s Hospital, and Visiting Professor at the University of Glamorgan, and Honorary Senior Lecturer at Bangor University. He is co-editor of the Oxford Textbook of Palliative Care for Children, Second Edition (OUP, 2012), with Ann Goldman and Stephen Liben. Subscribe to only health and medicine articles on the OUPblog via email or RSS. Image credit: Old and young hands photo by SilviaJansen via iStockPhoto. Why do doctors and nurses delude themselves that patients want their intrusions at the end of their lives at all? They are just ‘there’ – if you cant DO anything medical to extend lives, why on earth just admit it, instead of ‘caring’ with morphine and midazolam overdoses ? How on earth can the LCP be so idiotic to prescribe morphine (and nothing else..no other drugs recommended at all) for ‘breathlessness’…ever considered opening a window or using a fan? Its a Brompton’s Latte….kick it back into the hospices – we couldnt get rid of the district nurse with our mother…we simply didnt want her there , and neither did our mum…it was like she’d seen ‘Song of Bernadette’ as a kid, and wanted some sort of praise for her ‘caring’…total invasion of our last times together! Mind you, the man who wrote the liverpool care pathway is obsessed with pain…odd he knows b.all about anything but morphine, with your umbrella organisation being sponsored by Napp pharmaceuticals…surprised his bereavement leaflets dont feature product placement! I feel it should be up to the patient whether they want to keep going with medical treatment; that’s the problem with the v.8 of this pathway – it was written in 2003, 2 years before the Mental Capacity Act came into force. If a patient wants to keep on giving it a go, I think you should too….there’s a huge difference between the sort of problems patients with terminal cancer have , and those experienced by other types of terminal patients…and the LCP doesnt really give any useful advise on those …there’s a wealth of difference between the types of ‘agitation and distress’ you experience with a painful cancer, and those you experience in the last days of renal problems…yet the drugs the LCP recommends are almost identical. Not everyone wants to be unconcious for days…they want to speak to their families at the end. I was ‘terminally ill at the age of 6 – I”m so pleased there wasnt a liverpool care pathway around at the time, as I’d probably be dead now (misdiagnosis). And don’t give me the ‘it doesnt hasten death’ routine – we all know what morphine does, and what they do in hospices,etc etc..
For children who are terminally ill however, I would say that I had no concept of death, dying – no fear at all – only the adults were upset, so its a shame the bereavement section of the LCP is so badly written…even down to the colour of the leaflets (blue…such a cold colour)…its so impersonal…yuk, is my response frankly. Sort of ‘automated-nursing’ …. Amazing how they give up on treatment of the elderly so soon, even where the patient doesn’t want to give up on treatment, isn’t it? Particularly if a particular surgeon has a long waiting list. We all saw how non terminally ill Mrs. Lee (Rusty Lee’s mother) wasn’t. I don’t like the way this pans out at all….but I expect all the doctors who hate time intensive old patients will absolutely love this pathway…why dont they just throw them in a skip at the back of the hospital and have done with it? Instead of pretending they ‘care’?